With a great deal on a popular blender, one major retailer is leaving you with no excuse to skip eating your fruits and vegetables. 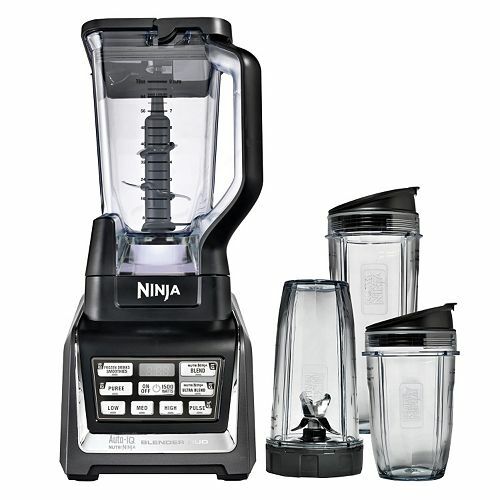 Kohl’s is offering the Nutri Ninja Blender DUO with Auto-iQ for $199.99 (regularly $249.99). This 1,500-watt blender includes a variety of dishwasher safe cups and lids. The device can be used to blend fruits, vegetables, ice and seeds alike. The blender is designed to maximize nutrient and vitamin extraction. This deal is part of Kohl’s Great Big Weekend Sale, which ends Jan. 25. There is an order limit of five blenders per household. Check out this deal at Kohl’s.